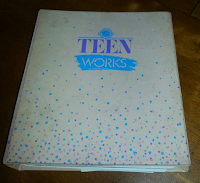 Teen Works Binder ( From the 1980s) Photos of myself, growing up from Tom Boy to now. I'm feeling a little nostalgic today. Growing up my cousin Terri Jean gave me a Teen Works binder. I was a huge Tom Boy. Instead of Barbies, I wanted GI Joes. Instead of going to Girl Scouts, I would cry, and want to go swimming in the creek with my male cousins, and swing from vines over the ravines. Beauty just wasn't anything to me. 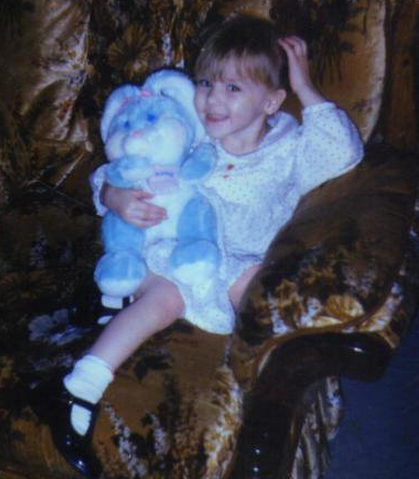 Don't get me wrong, I wasn't an ugly kid. I was actually quite adorable. I just didn't feel "Girly." My mom also allowed me to be myself. When I didn't want that Cricket Doll, she took it back, and got me the Storm Shadow I had to have. That's me! I even cut my hair short..
& Yes, I rocked the Heman's too. 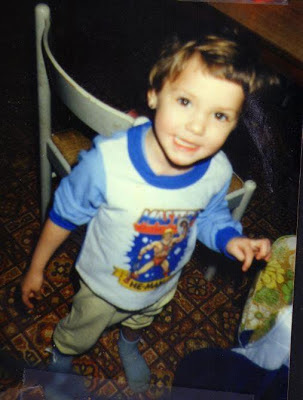 I still wear a pair of Masters of The Universe Pj's to this day. I could also be extremely cute! When my older cousin gave me the book (she was into hair, and make-up.) I read it. I didn't think I was ugly, but I liked the artistic aspect of the pages. The eyebrow section especially was to teach you to set them up to arch with your face shape. Through the awkward teenage years it helped me a lot. 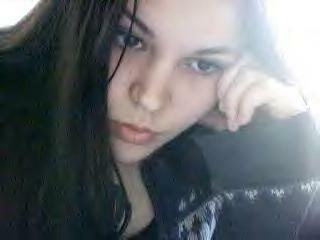 I am 19 years old here.. that was 11 years ago. I really think that binder helped me grow into my looks. I didn't do anything drastic to my eyebrows, and I knew how important skin care was because of it. I didn't do anything to damage my skin, and I mostly used natural, greentea lotions, and oatmeal baths. My mom had bad allergies so we didn't use perfum-y chemical based products. Even at almost 31 today I still get told I don't look my age. This photo is when I was pregnant with my Son, right before my 30th birthday. Hilarious! Some of the styles back then, but still loving the tips. 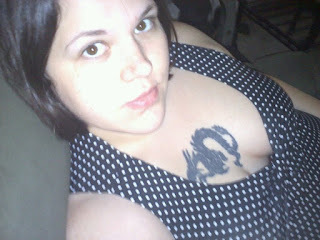 I wanted to do a huge, Thank you to my cousins, both of them, Terri, and Liz (They are sisters.) For them not telling me what to do as for looks, but for Terri giving me that binder. And Liz always giving me Make-up she didn't like anymore, Lol! I Love hand me downs. Especially when she'd use it like once, and didn't like it. Hehehe. Now I have so much make-up. Loving the natural, earth friendly products out too. Things have really changed. Any one else a total Tom Boy that changed as they grew older? I still like certain things that aren't deemed "Girly." but overall, I really think books like Teen Works are needed, and are great role model material for young women. Did any of you have the binder too?